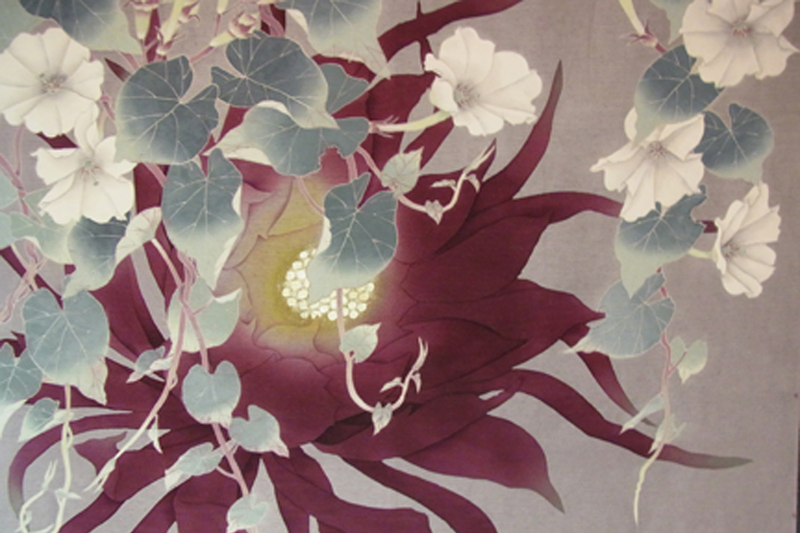 Kiyoko uses the solid aspects of Yuzen, the traditional dyeing technique for Kimono and the transparency of Batik to display the spiritual thoughts in her works. Her works are inspired by the beauty of white flowers. She is drawn to the innocence and mystery of the white petals, and she expresses those emotions through her works. This exhibition is showcasing her white flower collection. Kiyoko Yamamoto was born in Fukuoka, Japan in 1944. She started oil painting at a very young age. At the age of 21, she moved to Tokyo and won many awards for her paintings. She then shifted her works from oil paintings to dyeing. During her time in Tokyo, she learned with the dyeing technique known as Yuzen. She immediately fell in love with this technique and traveled to Kyoto to study Yuzen. Kiyoko Yamamoto combines “Yuzen”, the traditional dyeing technique for Kimono, and the “Batik” dyeing technique to create her own style. After her success in Japan, she took a trip to Philippine and Saipan. There, she was inspired by the tropical flowers, and this made flowers the main motif in her art. 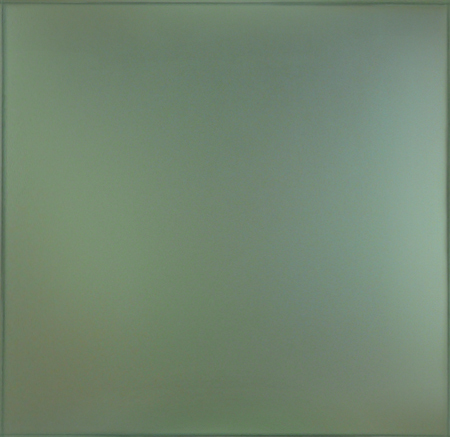 Yamamoto is a Japan based artist who has had exhibitions in Museum and galleries both nationally and internationally. She has had solo exhibitions at Schloss Rastede in Germany, Maison de a culture du Japon in France, City art museum in Fukuoka, Kiyomizu Temple in Kyoto, Caelum gallery in New York, Yurakucho Asahi gallery in Tokyo, Promo-ARTE in Tokyo, Gallery Ogawa in Ube, Ginza gallery WADA in Tokyo and Ginza Matsuzakaya gallery in Tokyo.